Quality Turf, Inc. is owned and operated by Alfred Wooten . A 1977 graduate of North Carolina State University with a degree in Turfgrass Management, he is a North Carolina Certified Turf Professional with over 30 years of experience in the turfgrass industry. After earning his degree, Alfred spent ten years as a golf course superintendent, eight of which were as a Class A Superintendent. In 1985 , Alfred returned home to the family farm and began converting traditional row crops to turf. 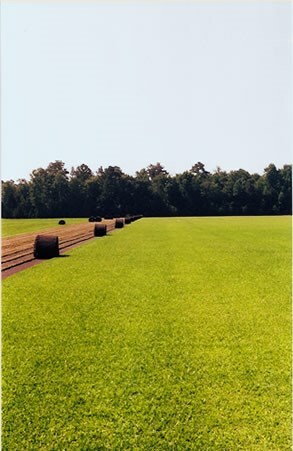 Quality Turf began a sod farm production in Maple Hill, North Carolina with 15 acres of sod on the small, Pender County farm that has been in the Wooten family for more than 200 years. Quality Turf has grown from its original 15-acre sod farm to over 700 acres in sod production on six sites throughout Pender County. The office is located near Burgaw off NC Highway 53 East on Pinkney Road near the Northeast Cape Fear River. Quality Turf is a member of the NC Sod Producers Association, Turfgrass Producers International, the Turfgrass Council of NC, Green Industry Council, the Carolinas Golf Course Superintendents Association, and the NC Nursery and Landscape Association. Quality Turf prides itself in staying abreast of the latest news, ideas, and technical information regarding the turfgrass industry. If you have any questions, please do not hesitate to call toll free 1-866-259-3064.